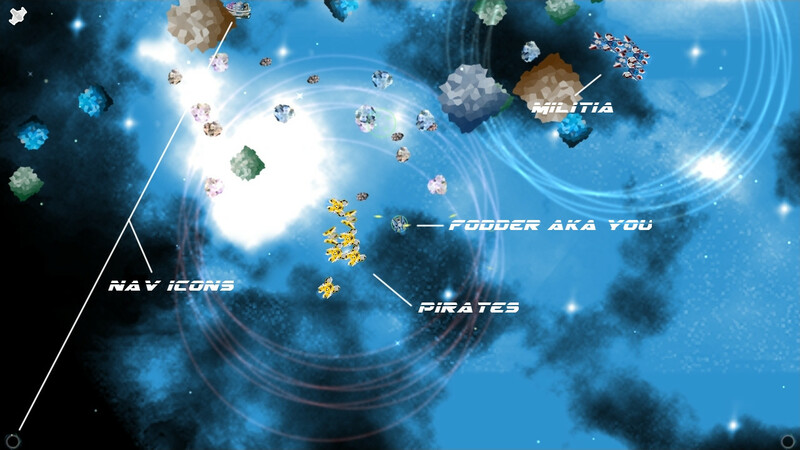 Star Nomad, Sandbox RTS inspired by Privateer/Elite/Escape Velocity coming along nicely! Decided on Star Nomad as name. Game is coming along very nice, all the factional AI (2 main corporate/military faction, a militia faction, pirates and merchants) is completed, fighting between faction fleets work well. The travel system is working great, jump into a jump-point take you instantly to another sector and out at the correct jump-point. A few more art (icons for equip and inventory) remain to be done. This is almost a sector wide zoom-out, can see all the stations and jumps, along with trade ships making their random routes, police/militia patrolling to provide cover. 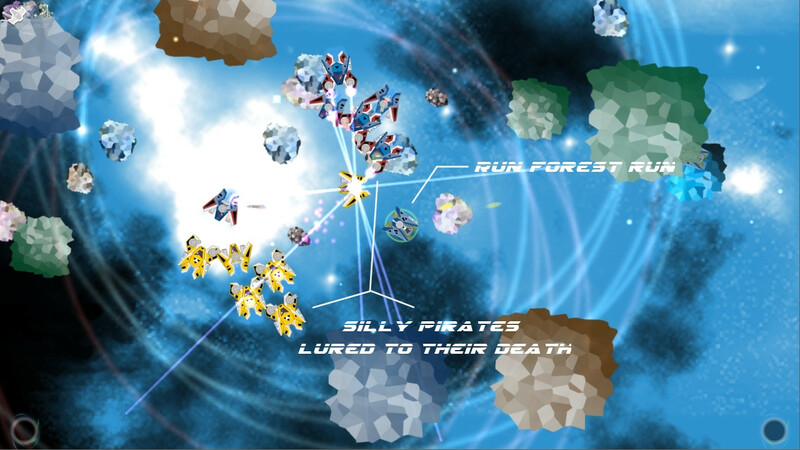 Pirates use plasma cannons, its great single target dmg, but militia specialize in beam cannons, which do aoe-line damage, great for bigger fights. Silly piwates did not survive to regret chasing a poor ole trade tincan. 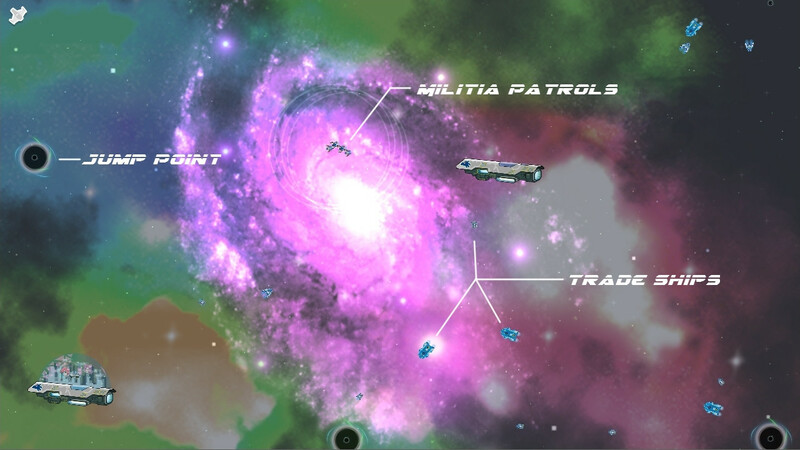 ← Epic Space RTS/RPG, inspired by Privateer/Elite/Escape Velocity!